Colors, colors, every where colors. we saw a great shade of a particular color in a picture the other day… how do we find what color that is? 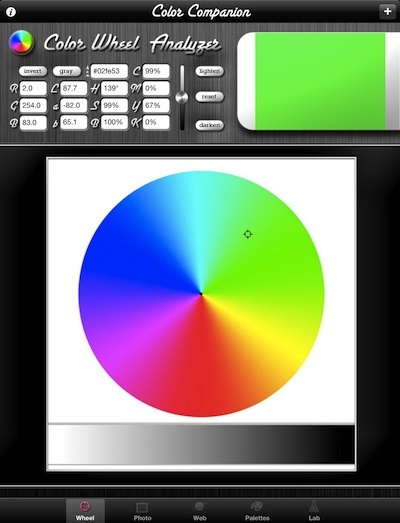 Grabbing our paper palette of color examples, we start to look for a ‘pretty close’ match. This works better for some folks than others. The average person sees a match where there isn’t. How do those folks at the local paint store get it right? They use a bit of software that tells them how much of what colors mixed together will create the result the client brought in. Now, we can do that same thing on our iPads via a free app! 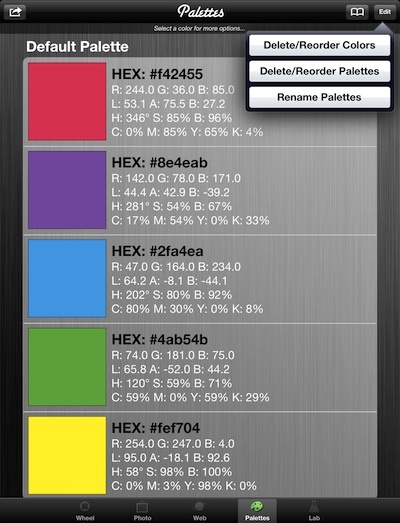 The universal app, Color Companion – Analyzer & Converter does all the matching work for you. 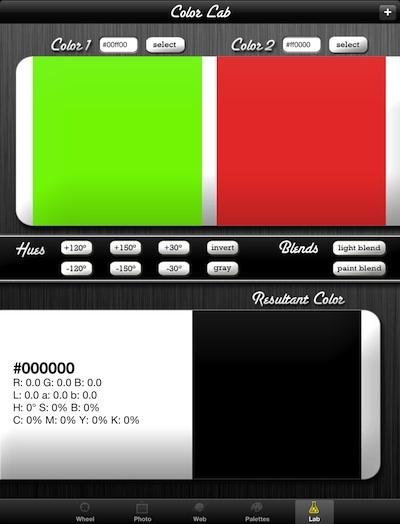 You can adjust the percent of colors to mix for coming up with your own final colors… share the resulting color code with others to use. 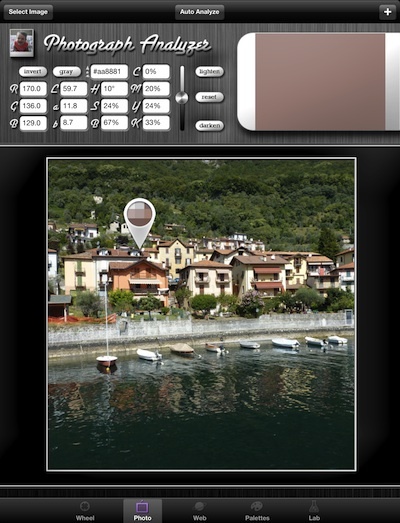 You can import a picture and have the app tell you the color of any point in the image. 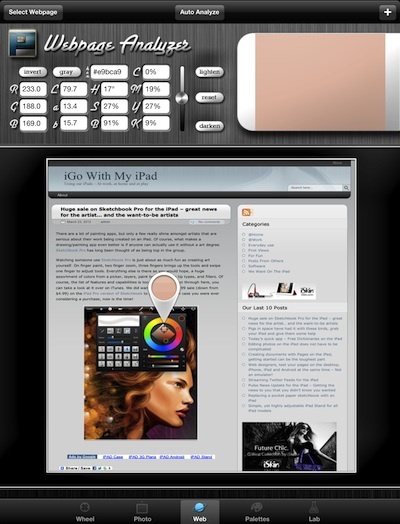 You can use the in-ap browser to visit and site, tap a spot and see the color info. And yes, there is even hues and blends.